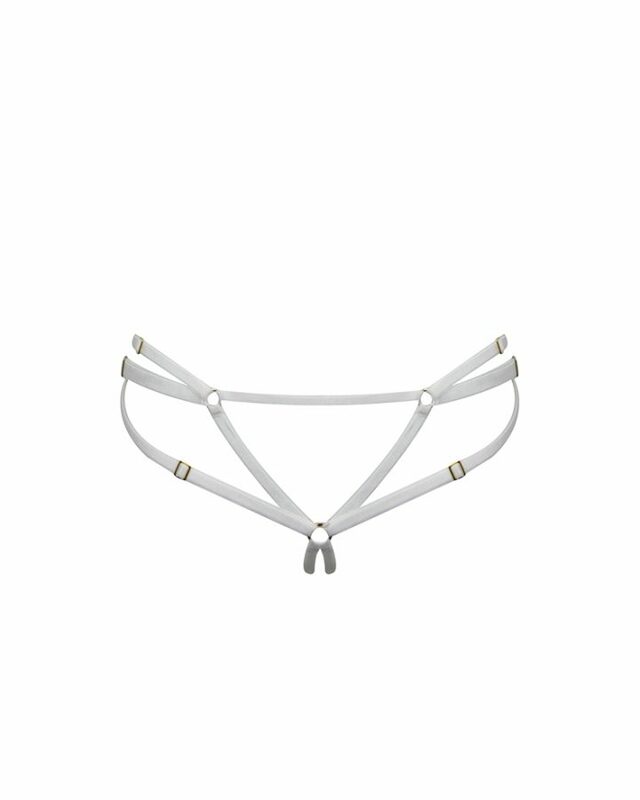 Sleek, silken pocket suspender with striking shapes accentuate the curves. Crafted from red satin, cut to curve beneath the derriere and finished at the hem with silk binding. 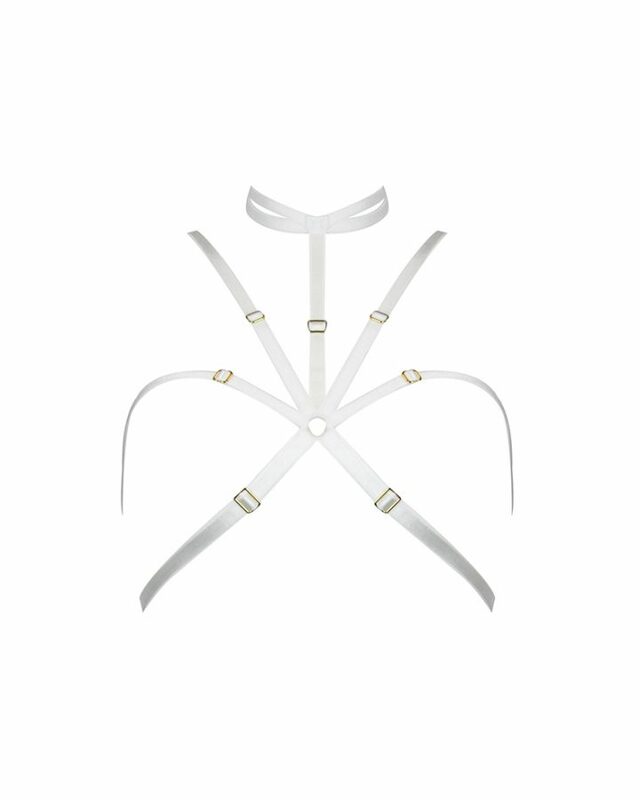 The fully adjusted waist is finished with silk satin straps and 24k gold plated hardware. 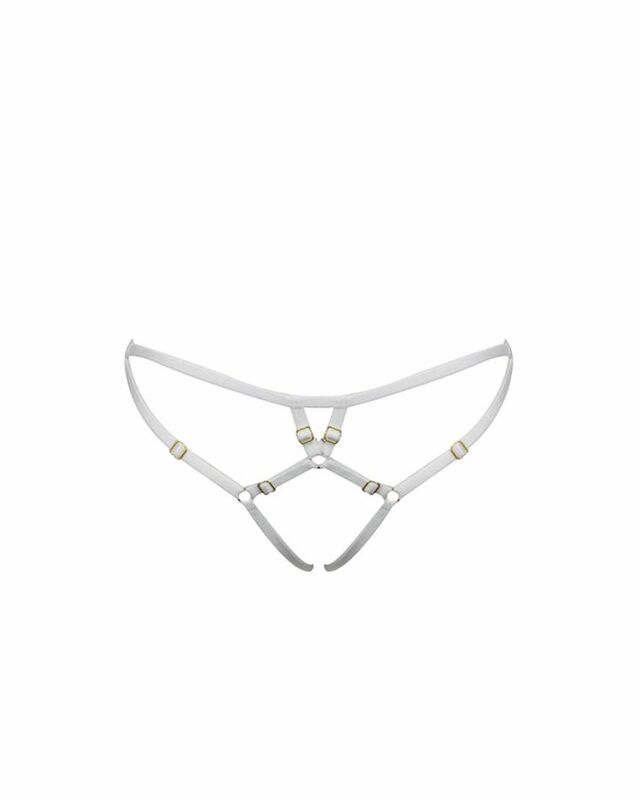 Wear with our matching Demi Cup Bra and Deconstructed Brief for timeless boudoir glamour.